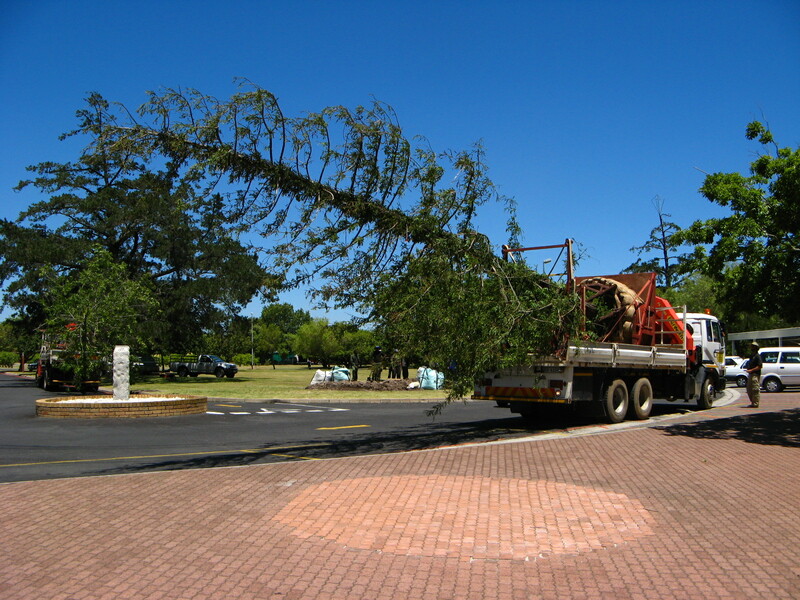 Trees SA replaces Tree of Lights at Jan Kriel school… twice. 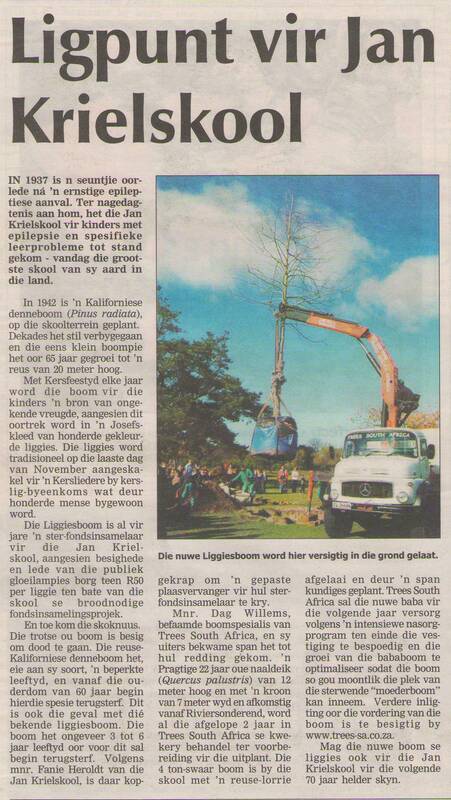 The article published in the Cape Argus explains the history and sentiment behind the Tree of Lights. 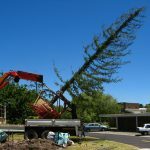 Trees SA replaced the dying 65-year old Californian Pine tree with a Needle Oak tree. 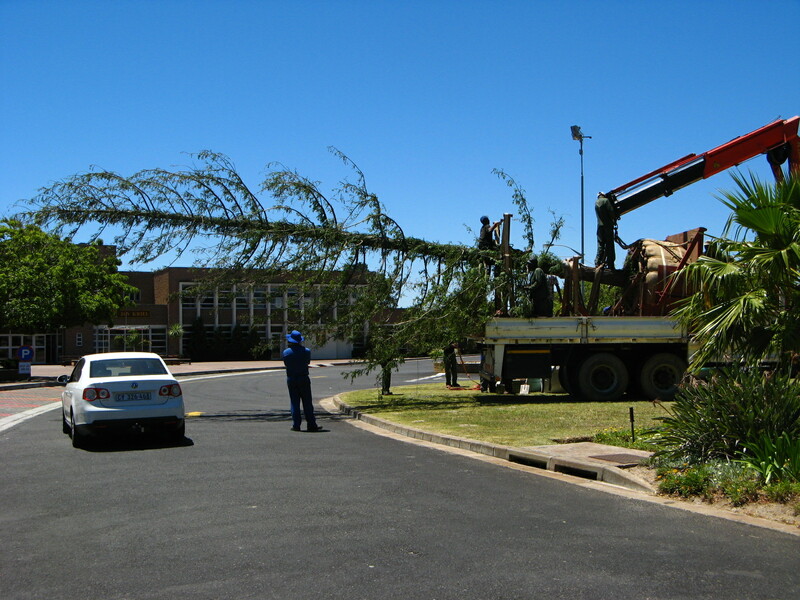 Unfortunately the Needle Oak tree could not withstand the wind and we therefore replaced this tree with a massive and more suitable Californian Redwood. 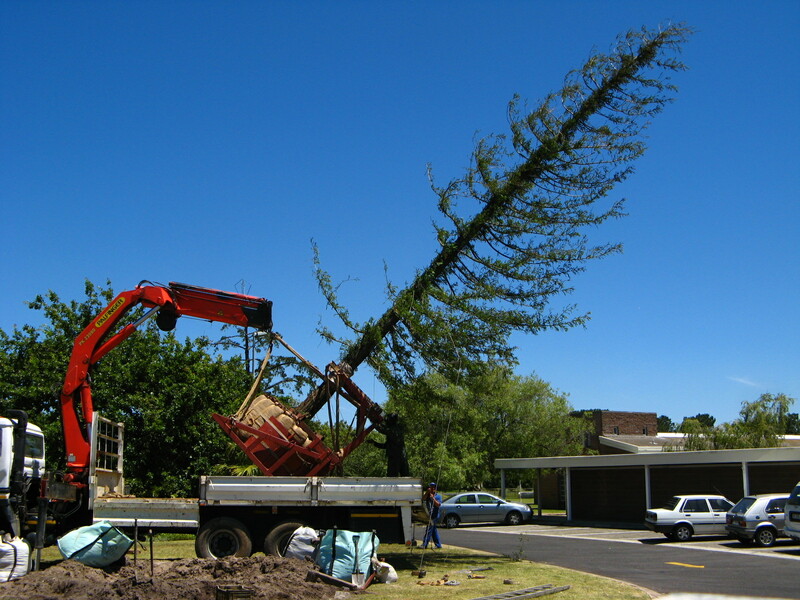 The pictures below are of the Californian Redwood being installed. 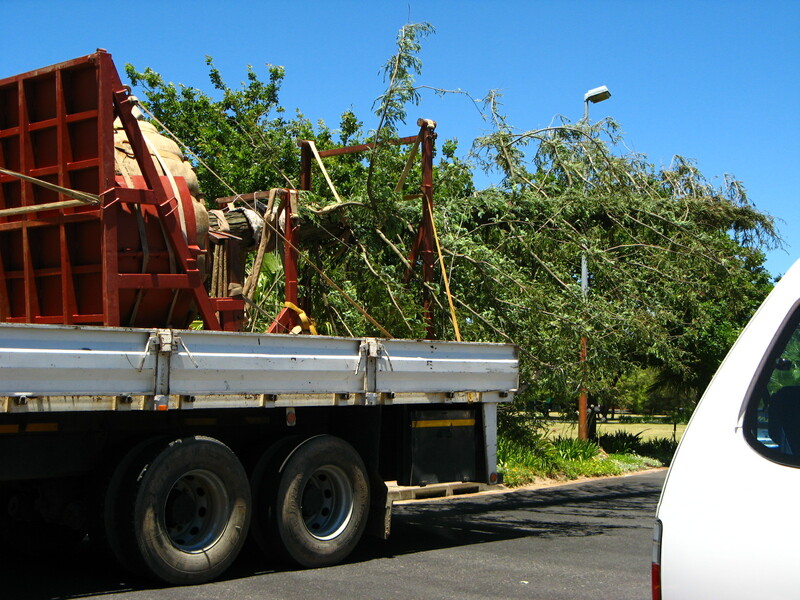 Read more regarding the history of the school below. 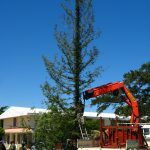 Over the decades, pupils at the 70-year-old school have learnt to know this tree as their Tree of Lights, as it plays a central role in the school’s Christmas celebrations every year. 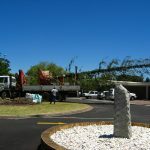 Then, the tree is all dressed up in a host of multi-coloured light bulbs and, on the last Saturday of November every year, the lights are switched on for a Carols by Candlelight event that attracts as many as 3000 people. 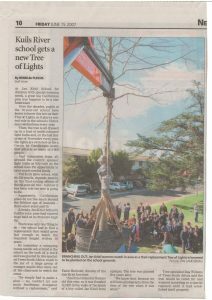 And companies from all around the country sponsor light bulbs at R50 each as the school uses the opportunity to raise much-needed funds. 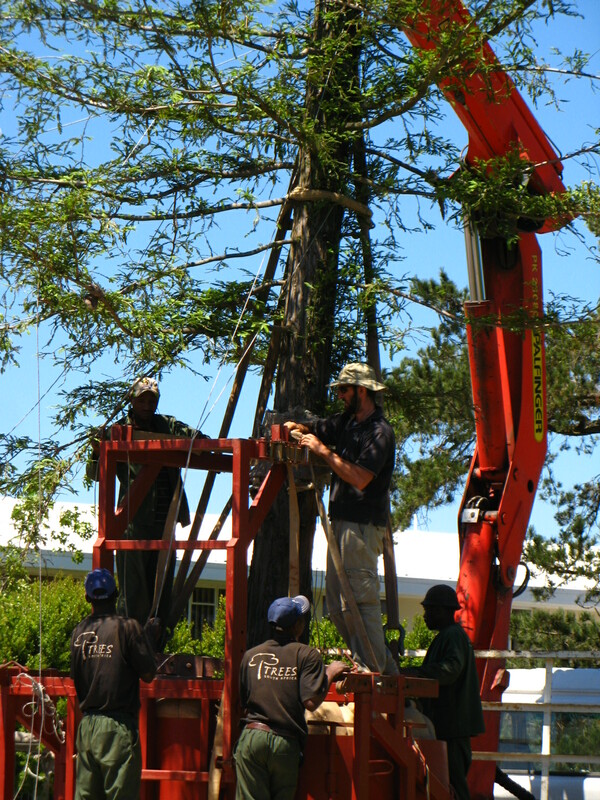 The Kuils River school, with its 550 pupils, depends heavily on the fund-raising efforts of this 65-year-old tree – but not it has been told the tree is going to die. 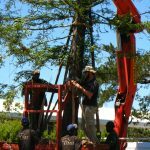 Apparently, Californian pines do not live much beyond the Biblical age of humans – three score years and 10. 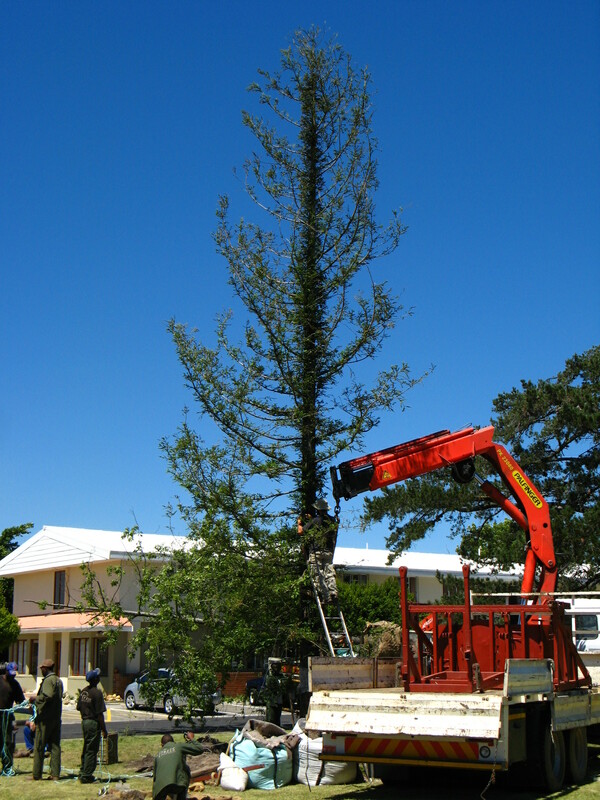 Already, Jan Kriel School’s Californian pine had started to go bald at its 20 metre-high tip. 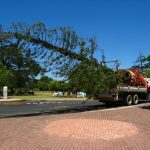 There was only one thing to do – the school had to find a replacement that would grow fast enough to reach the required height within 10 years. 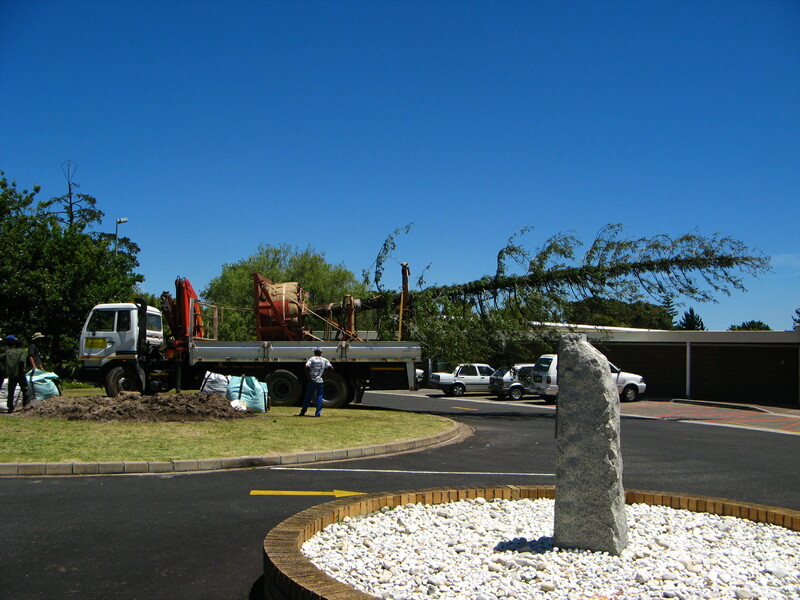 So yesterday a strapping young needle oak arrived at the school on the back of a truck and was planted by tree specialist Trees South Africa, much to the joy of a large group of younger pupils who came out of the classroom to watch the event. 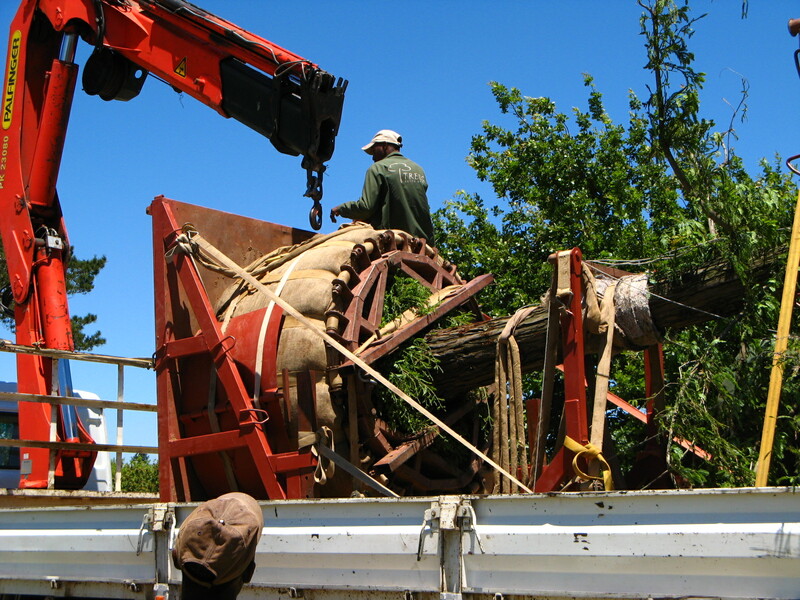 “We simply had to make a plan – we couldn’t let our main fundraiser disappear without a replacement,” said Fanie Herholdt, director of the Jan Kriel Institute. 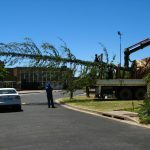 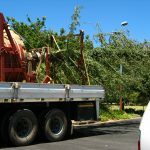 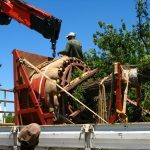 Tree specialist Dag Willems of Trees South Africa said the tree would be cared for and watered according to a special regimen until it had established itself properly. 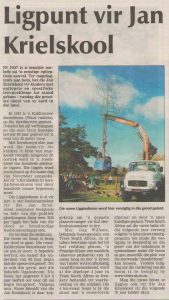 This was also published in Afrikaans in the Eikestad Nuus. 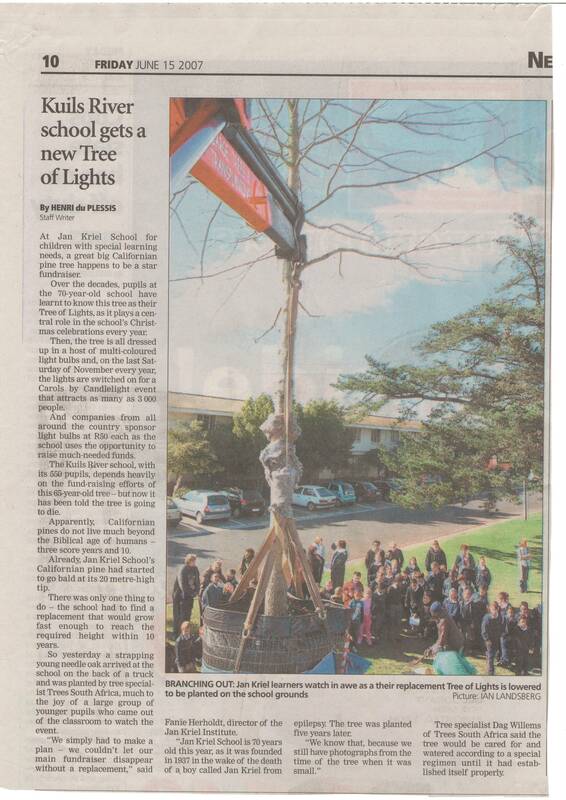 Read the full article in the newspaper clipping below.